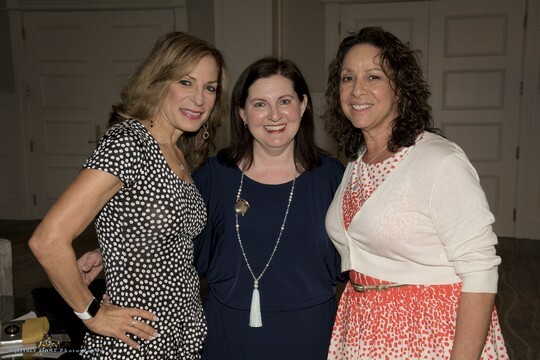 Pomegranate level donors enjoyed a memorable morning together at the Woodfield Country Club on May 2. The women were treated to a private tour of Woodfield’s garden, where they admired and sampled many of the fruits and vegetables, including the microgreens, edible flowers and more. The pomegranate tree had fruit on it and made a great backdrop for photos of our Pomegranates. The group then headed inside to meet Chef Bart, the Executive Chef at Woodfield Country Club, for an exclusive tour of the extensive kitchen, which employs several members of the Culinary Program at JARC, a beneficiary agency of the Jewish Federation of South Palm Beach County. The event was capped off by a delicious spring-inspired lunch with pomegranate sorbet for dessert. Thank you to event chairs Nancy Gefen and Joan Hauser and to sponsors Brown’s Interior Design and Ivan & Co. Fine Jewelry.